Our insurance products are constantly evolving to meet the needs of our clients. 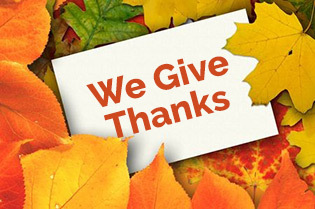 But as we constantly strive to improve your experience, the recent Thanksgiving holiday gave the team at Paragon a chance to step back, reflect and count our blessings. We are so very grateful to our clients, who have put their trust in us since we first opened our doors as an insurance agency in 1974 when my grandfather Alex Lipson launched our firm. Over the past 45 years, we’ve learned so much and met so many amazing people; we are enormously grateful for each and every one of you. During this holiday season, we wanted to take a moment to say “Thank You” for helping to make the past 45 years, and 2018 in particular, such a big success for Paragon Underwriters. Insuring thousands of attorneys in Michigan and throughout the United States is something we take very seriously. The gratitude we receive when a client is protected from a malpractice lawsuit or attorney grievance is truly all the thanks we need. Insurance isn’t an investment that lawyers want to make, but it’s necessary to protect yourself in today’s legal environment. We know that there are choices your law firm has to make when it comes to professional liability insurance and we appreciate you choosing us. During this winter holiday season, we give thanks to all the good we have in our lives. The Paragon Underwriters team is grateful for our company, but we recognize that there is so much more for which we must be thankful. We hope you can take some time for family and friends during the winter holiday season. Eat, drink, watch football and throw in some holiday shopping. Thank you all again. And from the Lipson family and the entire team at Paragon Underwriters, we wish you a joyous and blessed holiday season and a successful ending to 2018. In the Digital Age, so many business owners believe that client testimonials are solely for the purpose of posting on a website so potential clients see how loved you are. At Paragon Underwriters in West Bloomfield, Michigan, we appreciate when the attorneys who are our trusting clients write glowing testimonials and reviews about the work we do, but we love these reviews for other reasons as well. We learn from our clients’ words in their testimonials and review. Unfortunately, many insurance agents have begun to fear online reviews by clients. 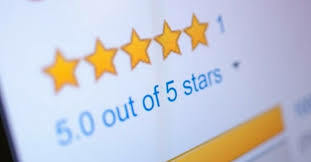 Whether it’s Google, Facebook, Yelp or any of the other online review websites, the owners of insurance firms are scared that clients or will leave negative feedback. Our goal at Paragon Underwriters is to learn from reviews. 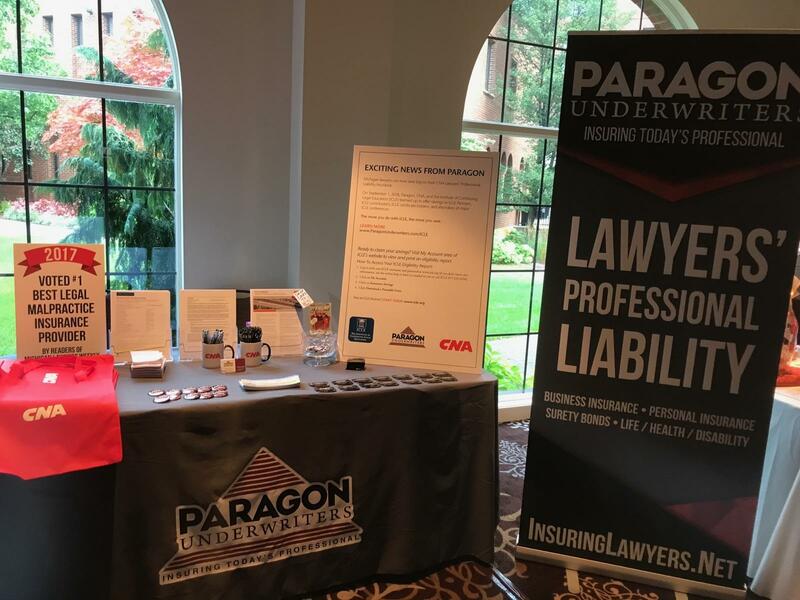 David Lipson and the amazing team at Paragon absolutely love helping Michigan attorneys feel secure with professional liability insurance and that has been our mission for three generations. We strive to make our clients feel cared for at Paragon. 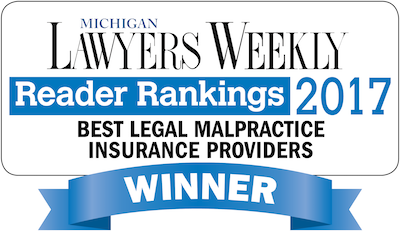 While Paragon has been cited many times over the years as one of Michigan’s most trusted insurance agencies for malpractice insurance, we know that we can still improve. We are grateful for our clients who leave us feedback through online reviews and testimonials because it informs us of where we’re strong and where we need to improve. We pledge to take the time to listen to your feedback and to always have an open mind when it comes to new ideas we can offer you. Please visit our website, full of helpful information and insurance-related resources for attorneys, to begin your path to a more secure professional life with us. There’s a longstanding history of professionals who think the worst could never happen to them. Unfortunately, this is why so many successful individuals fail to buy life insurance policies to protect their survivors after they die. Sadly, the same is often true when it comes to professional liability insurance. It’s human nature to think that bad things won’t happen to us. A Metro Detroit businessman went to court to sue his own attorney and wound up winning one of the largest payouts in such a case in Michigan history. The case had to do with an inventor who was due millions for his technology invention that all the computer companies were using. His lawyer advised him to hold out for more money (over $1 billion) and the client ultimately spent $1 million in legal fees for nothing. The client hired another attorney and successfully sued his former attorney for malpractice. Many lawyers enjoy wonderful relationships with their clients and never imagine a client turning around and suing them for malpractice. However, this happens much more than you would think. A proper professional liability insurance policy is essential for all attorneys, regardless of your specialty. Contact the team at Paragon Underwriters today to re-enroll or learn about your options for malpractice insurance coverage. We put our decades of experience to work for you. In the 21st-century organizations are embracing collaboration. Collaboration doesn’t only benefit the organizations; it also benefits their clients and customers. An example of this would be showing your health insurance card at the local sporting goods store and receiving a discount off your purchases. In the case of the new collaboration between Paragon Underwriters and the Institute of Continuing Legal Education (ICLE), Michigan’s attorneys will benefit greatly. It is for this reason that Paragon began discussions with ICLE nearly three years ago to explore opportunities for synergy and collaboration. The result of those discussions has finally come to fruition: ICLE customers who are CNA Lawyers’ Professional Liability (LPL) policyholders are now eligible for premium cost reductions up to 25%. (Credits apply to qualifying firms in the form of premium credits). ICLE recently contracted with CNA and Paragon Underwriters to provide a number of malpractice risk management premium credits to new and existing customers to reduce the cost for their LPL coverage. “ICLE has always been committed to helping customers with every aspect of their practice. We know that it’s tough out there, especially for the lawyers who are just starting out. We’re excited that our practice resources can now be of further help,” said David Watson, ICLE Executive Director. Be an ICLE Partner – ICLE Partners save up to 7%. The longer you’re a Partner the more you save. Complete an ICLE certificate – choose an entire practice area or a specific topic and save up to 7%. Attend an ICLE event – annually attend any of our major Institutes and save up to 2%. Be an ICLE Volunteer Contributor – join hundreds of your colleagues and help us with a seminar, book, or another online resource to save up to 7%. CNA Risk Control participation – ICLE customers who also participate in CNA specific risk management initiatives can save an additional 2%. The above credits can be combined for premium cost reductions up to 25%* and are applicable each year that an attorney remains involved with ICLE and insured with CNA. The collaboration launched September 1, 2018. Full information about opportunities can be found at www.icle.org/cna. Individual lawyers and law firms interested in the offers should contact Paragon Underwriters directly at 248-851-3066 or www.ParagonUnderwriters.com/ICLE. *Potential savings are determined by the specific lawyer and his or her practice. Savings are applied only to the individual, not a firm. Savings can only be obtained by providing a current eligibility report found in the ICLE My Account area at www.icle.org. Our Paragon Underwriters team recently returned from several industry conferences around our great State of Michigan. One thing that remains clear to us when we talk with colleagues, attorneys and law firm administrators about professional liability insurance coverage is “Experience is Everything.” Most insurance agencies in Michigan don’t understand legal liability and rarely (if ever) work with attorneys to secure Lawyers malpractice insurance policies. They don’t specialize in it as we do. They don’t do it all day every day as we do. At Paragon Underwriters, we put malpractice insurance for Michigan’s lawyers front and center, and we have the decades of experience that make us the experts in this field. That high level of experience benefits our clients and helps us continue to lead the pack for insuring lawyers all over Michigan. In 1974, a math teacher named Alex Lipson started our firm. Years later, Alex’s son Ken teamed up with his father to build a highly-specialized agency based upon trust, transparency and commitment to personal service. Today, the 3rd generation continues the Paragon tradition of excellence. David Lipson has built upon his grandfather and father’s legacy to continue to help attorneys protect themselves against malpractice. As President of the agency, David Lipson is keenly aware that Paragon’s experience is everything to clients. Professional malpractice insurance is a niche in the insurance industry and there are very few agencies around the country that truly focus on this. That is where Paragon truly stands out. Paragon has been CNA’s Exclusive State Administrator for Michigan law firms with less than 35 attorneys for more than a decade. CNA is the nation’s largest writer of legal malpractice insurance for law firms and offers the broadest policy language available in Michigan. Why did CNA choose Paragon? Because we have the experience… and experience is everything. Take advantage of our experience. Make the right call and call the experts at Paragon today to learn about professional liability insurance plans that will protect you, your practice and your reputation. ICLE, PARAGON & CNA TEAM UP! Institute of Continuing Legal Education (ICLE) customers and contributors who are CNA Lawyers’ Professional Liability (LPL) policyholders are now eligible for premium cost reductions up to 25%*. ICLE recently contracted with CNA and Paragon Underwriters to provide a number of malpractice risk management premium credits to new and existing customers to reduce the cost for their LPL coverage. Be an ICLE Partner – ICLE Partners save up to 7%. The longer you’re a Partner, the more you save. Be an ICLE Volunteer Contributor – join hundreds of your colleagues and help us with a seminar, book, or other online resource to save up to 7%. *Credits apply to qualifying firms in the form of premium credits. If you’ve ever seen someone wearing a t-shirt that says, “Mind the Gap” and wondered what that phrase means, you’re not the only one. It is a well-known saying that is heard in the London Underground warning people who use the subway to be wary of the gap between the train and the platform. It has become synonymous with the London subway system and is found to be both fascinating and funny by international tourists. That same phrase should be considered by Michigan attorneys. 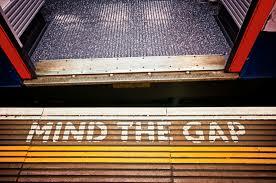 “Mind the Gap” doesn’t only have to refer to the gap in the London subway. It should also serve as a warning to lawyers to be ever-mindful of gaps in their malpractice insurance policy. For attorneys, one of their biggest costs is their professional liability insurance. As any lawyer knows, a lapse in coverage creates a high-risk situation and a large exposure – a dangerous, unsettling combination. Shockingly, many lawyers don’t seem to fully appreciate the ramifications of allowing a coverage gap to occur. The reason one wants to maintain continuous coverage throughout a legal career is to make certain coverage is in place for all prior acts. That’s why retroactive dates are so extremely important. 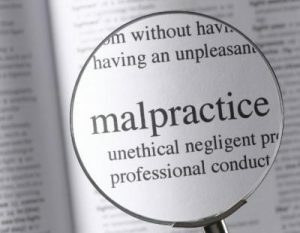 Any alleged malpractice that occurred prior to the retroactive date would not be a covered claim, even if the claim was made and reported during a current policy period. The problem with allowing a coverage gap to occur is that the insurance company issuing a new policy post gap can, and often will, move the retroactive coverage date forward to align with this new policy’s inception date. The result is that coverage for all prior acts has now been lost, which is a harsh outcome, particularly for those attorneys who have been in practice for many years. Though recent years have seen insurance products developed that can go back and cover a lapse in insurance, the cost to do so can be astronomical and is best avoided in the first place. For help covering a past lapse in insurance, call Paragon today. Better yet, to ensure you “mind the gap” and don’t allow any lapse in your malpractice insurance, call the Paragon Underwriters team today at (248) 851-3066. We’re here to help. Auto executives in and around the Motor City of Detroit, Michigan, are mourning the sudden death of one of the auto industry’s most popular and beloved leaders, Sergio Marchionne. The former CEO of Fiat/Chrysler died last week of complications from surgery. Marchionne often talked about his love of fixing things. He talked often about how this love for fixing things helped him in 2004 after taking over the beleaguered Fiat automotive company. Attorneys would love to fix the system that allows disgruntled clients to file malpractice claims and grievances against them so easily. Unfortunately, there is no fix for this. It is a reality of the legal profession that, at some point in their career, more than one of every three lawyers will have to protect themselves against claims of malpractice or a disciplinary inquiry from the Attorney Grievance Commission (AGC). For over five decades, Paragon Underwriters has been helping Michigan’s attorneys find the best malpractice coverage available to them. As an insurance agency that specializes in Lawyers’ Professional Liability Insurance, we take great pride in delivering coverage to our clients that meets their individual needs at a highly competitive price point. Since no lawyer can fix the system that allows unhappy clients from suing them, it’s imperative that your coverage protects you from lawsuits and disciplinary situations. Trust your professional liability insurance to our highly specialized team and be confident that your practice is properly protected. In his HBO comedy special, comedian Chris Rock memorably joked about insurance coverage. It might have been one of Rock’s funniest bits from the earlier part of his career. On stage, the comic said, “You need some coverage… Coverage will save your life.” Of course, he was talking about life insurance and health insurance, but he very well could have been talking about malpractice insurance for lawyers. When we hear that scary “M Word” (malpractice), we often think about doctors. However, there are many cases every day in which attorneys find themselves having to deal with lawsuits brought by clients. And most of the time these attorneys never saw it coming. Even if malpractice insurance for attorneys won’t save your life in the way that health insurance might, it can save your practice from a catastrophic lawsuit or career-threatening grievance. Thus, it is essential for every lawyer in your law firm to be covered – be they partners, associates, employees, of counsels, independent contractors, full-time, part-time or nearly retired. Paragon Underwriters has five decades of experience educating lawyers about the best professional liability insurance that will protect them in unfortunate situations. No matter the size of your firm (from a private practice with one solo attorney to a large law office with 1000 lawyers), legal malpractice insurance is a must. Whether you’re an attorney, a paralegal or a law office manager tasked with obtaining the best and most cost-effective professional liability insurance, Paragon Underwriters is here to help you. We don’t simply sell malpractice insurance. We first spend time gaining an understanding of your firm’s unique needs. We then educate you about the various coverage options, risk factors, best practices and risk management discounts available. David Lipson, President of Paragon, is a third-generation insurance advisor in Michigan. David and The Paragon Team always take the time to get to know your firm and walk you through the application process and your coverage choices. Reach out today to set up a free consultation about malpractice insurance for attorneys. Call (248) 851-3066 today to ensure you’ll be protected properly from a lawsuit against you and your firm. You’ll quickly understand why thousands of Michigan’s lawyers and law firms trust Paragon Underwriters to protect their people, their property and their practice. 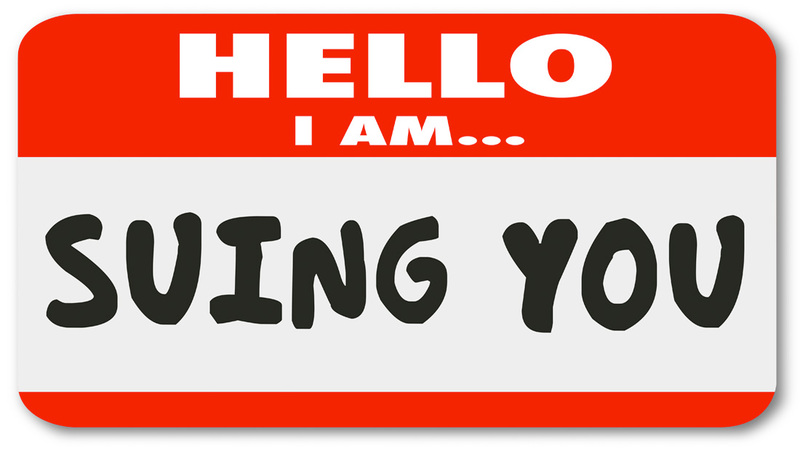 What Happens If My Employee Sues Me? What is EPLI? What Happens If I’m Sued By An Employee? 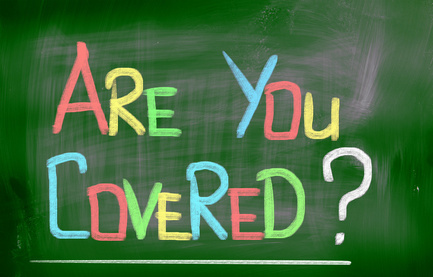 Without EPLI coverage, your business is exposed to huge lawsuits. I know, I know, I’ve heard it a million times from business owners: “We’re like a family here”, “that wouldn’t happen in our office”, “we’ve been working together for years”. But that way of thinking, that complacency, is exactly why employment-related claims are at an all time high. and why the need to insure one’s business for that situation has become a necessity in today’s highly litigious work environment. Almost 75% of all litigation against corporations today involves employment disputes. An Employment Practices Liability Insurance (“EPLI“) policy, sometimes called a Management Liability policy, will protect your firm from claims arising out of actual or alleged wrongful practices relative to hiring/firing, promoting/demoting, sexual harassment, discrimination, wrongful termination, failure to make partner, and a multitude of other workplace related forms of first and third-party claims. Many employers are not aware that their general liability, professional liability or workers’ compensation policies DO NOT protect them in these situations when being sued by employee. Recent statistics show businesses are far more likely to face an employment-related claim than a property or general liability claim. STOP AND THINK ABOUT THAT FOR A SECOND: you are far more likely to face a lawsuit from an employee than you are of having a fire or a theft or a slip and fall YET almost everyone buys coverage for the fires and for the injuries while much fewer buy coverage protecting against employment-related claims. I expect the trend will continue and soon all types of businesses will have (or may be required to have) an EPLI policy to protect them if sued by an employee. When these workplace issues turn into lawsuits, they become a constant strain and drain on time and resources. Claims involving lawsuits by employees comprise a significant amount of today’s civil litigation. No organization is immune from employment practices liability litigation, least of all law firms. Not only are the number of employment-related claims increasing, but so is the potential financial risk to your business. The Equal Employment Opportunity Commission reports that employee complaints have escalated to nearly 100,000 new charges per year. Defending a sexual harassment or discrimination claim, whether you are innocent or guilty, or even if the claim is groundless or fraudulent, can be massively expensive. You can be sued by an employee even if you’ve done nothing wrong, you’ll still need to hire an attorney to get you out of it — this can cost thousands and thousands of dollars. What Is Third-Party EPLI Coverage? Many EPLI policies also include what is known as “Third Party Liability” which covers liability claims brought by non-employees against employees of the insured company. The third-party in these lawsuits can be a customer, a client, a vendor, the mailman or anyone who interacts with your employees. Your organization’s third-party liability exposure is driven largely by the degree to which you and your employees interact with the general public. Call Paragon at 248-851-3066 OR request a quote below and we’ll reach out to you ASAP! Referral - let us know who to thank!! Who can we thank for referring you? This is not required, but if readily available, please upload your most current insurance policy's declarations pages in PDF format so we can be sure to mirror, if not BETTER, the coverage you have now. Please call Paragon at 248-851-3066 with any questions or concerns, we’re here to help! Paragon Underwriters protects Attorneys, Professionals, Businesses & Personal Assets in the state of Michigan.